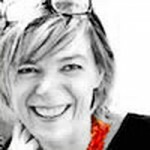 You are here: Home / Art & Technology / 6th place in the Art Ed Blog of the Year 2012!!!! 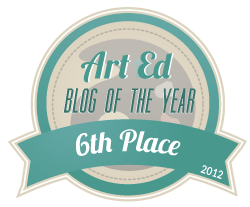 Arteascuola officially ran one of the top 10 Art Ed Blogs of the Year! After thousands of votes were cast, my blog was selected by Art Teachers all around the country (and world) as one of the very best out there! After tallying all of the votes, i ended up with 6th Place! As one of the winners, my blog will be featured in the “Blogging for Art Educators” online class, spread virally online via social media, have a permanent spot on The Art of Education awards page, be featured in our Weekly Newsletter, and best of all… I’ve earned your own customized “Art Ed Blog of the Year” badge which I display proudly on my blog during 2013. Thank to everyone that voted my blog!